Owning a foldable drone is more than just satisfying an inner craving. It is absolutely about having freedom. For starters, it gives you the convenience to just take it everywhere. It would even take the space of a bottle of water, let alone the fact that its weight is very light. If you are ready, you can just take it on a walk in its bag. With bigger drones, preparing for a flight requires a little bit of time. You have to take it out of the bag first, install the propellers and their guards, and enjoy a small amount of flight time. The best foldable drones do not take this route. They do it the other way around! It holds true that a folding drone is just new to the market. It is not like it has been there for quite some time now. Nonetheless, it is making huge waves. Its popularity has significantly grown since its conception. There is no doubt that the folding drone has a bright future ahead. Plus, it offers a plethora of benefits that the conventional ones could not offer. To start, you have the freedom to take it on holidays. Why exactly? That is because it can fit in the bag so easily. Taking it with you is a walk in the park. Heck, you can even bring it with you in the cabin of a plane. Now, think about a situation where you are bringing a large drone with you. Don’t you think you would not be paying a fee for the extra luggage, especially since you will be asked to check it in? In addition, a large drone means facing the pressure of bringing it back with you. You will be haunted by the possibility of it being broken once you check it in. It is definitely a hassle to the extent that buying a hard suitcase specifically for it is plausible. With the best foldable drones, you will not be doing any of these. Sure, its bag could look a bit big on the outside. But if you take a closer look at it, it is not as big as a camera bag. What most people think, especially the ones who are into a folding drone, is that this type of drone would soon invade the market. Sure, there is no doubt about that, but it does not mean all drones in the future are going to be foldable. This is especially not the case with professional drones, most of which are being used in agriculture, surveillance, movies, etc. 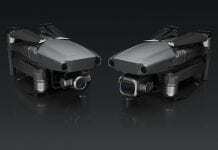 They cannot be designed in a way that is akin to a foldable drone simply because of the nature of their purpose. But as far as the consumer end is concerned, it is expected for a folding drone to manifest more on the market. As a matter of fact, a plethora of enthusiasts and experts are expecting it to take over the market of the conventional types. Indeed, there are individuals who are about “going big” and showing off what they are capable of. However, the world of drones is starting to become more about practicality. And the size of this technology really matters. For one, people are into a folding drone because they do not really need a bigger one just to capture videos or take photos. As long as it works in such a way, it does not matter. Add to this the convenience that a foldable drone offers. It is light and can be, well, folded. So if you are the type of person who loves going from point A to point B, you will definitely appreciate the practicality of it. To give you a better understanding of the different uses of a folding drone – and how it has revolutionized this world of drone – here are some of its best uses. As already mentioned above, owning a folding drone means having the ability to take it anywhere with you. It simply is its obvious point. Let’s say you are in a remote trail or perhaps a distant beach. You notice the beautiful setting and you just want to take a quick footage. All you need to do is pull out the device and set it off just at the right moment. Judging from the aforementioned scenario, it is safe to say that there are at least two components to this drone’s portability. First, it is so easy to carry around. Second, you can get it in the air in a breeze. Are you an artist? Well, let’s just say you are. There is every reason for you to love the best foldable drones on the market. You see, a folding drone is not just being a great convenience. It is more than that. A lot of this drone these days are equipped with state-of-the-art features, most of which are geared towards providing users some great camera options. An epitome here is the Mavic Pro camera. Believe it or not, it shoots gorgeous images. While it is not the Real McCoy out there, it definitely has something good to offer to the user. And that is okay enough from a consumer’s perspective. Again, there is a reason why professional drones are not all going to be foldable in the future. This basically explains a part of it. The thing about drones is that they are your travel buddies. Anywhere you go, you want them to take with you. When you climb mountains, you want there so you can take some cool footage. When you are traveling to a different city or state, you want to use the drone to take some aerial images. The only catch, however, is that a bigger drone tends to disrupt the idea of enjoying an exploration. Surely, you do not want to be bothered by its size, especially when you are busy moving from one place to another. You also do not want to pique attention, as you might be inviting some low-key individuals to exploit you and steal your drone. This is what makes a folding drone a nice thing to own. It is the perfect buddy for all explorers out there. You can take it with you anywhere and there is no hassle included. Stuff it in its bag and you are good to go. Whenever you are ready, pulling it out is just a matter of seconds. The next thing you know, it is already up in the sky. 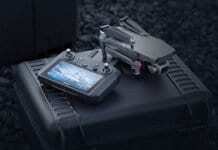 The era of a folding drone is just beginning. It is not as sophisticated as the pioneering ones, but it is moving forward. In fact, more and more of the best foldable drones on the market are starting to equip different features. Some of them are already GPS-ready while others are already capable of altitude hold. A number of foldable drones these days are now so easy to put in a tripod mode. Meaning, it can take videos or images in such a matter that it does not shake or move. Some are also designed to follow you when you are walking or taking a ride on your bike. It cannot be denied that more and more people are using drones for all sorts of events. For example, you can have your drone in an orbit mode in order to take pictures of a property you want to sell. From there, you can use the images or videos it took to upload on a website. As expected, there will be a deluge of visitors having a look at the files you uploaded. With smaller drones, the scope of its reach is much wider. How exactly? Well, it can start taking pictures of the property’s inside, not just its curb appeal. This gives you more access and content to upload (for the sake of the said example) online. Also, you will not have anything to worry about the quality. A folding drone is properly equipped with the right camera technology. There are a number of ways a folding drone can bring advantage to people. You, on the other hand, will become more creative when it comes to taking pictures and videos. Since the best foldable drones are all about giving you a handful of possibilities – including the fact that they are so easy to carry – you have the freedom to do whatever and wherever you want. In case you did not know, a foldable selfie drone has easily become the new rage these days. As of this writing, the monsters in this area are none other than the DJI Mavic and the GoPro Karma. Both of them have launched their respective version of a folding drone, which was around September of 2016. GoPro was the first one to launch through their Karma drone. 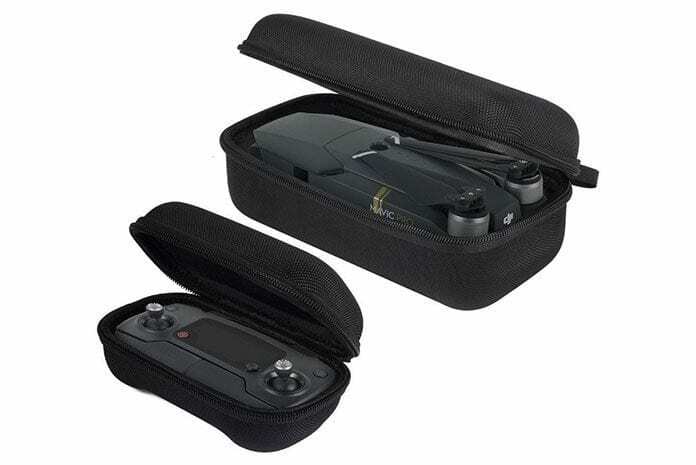 The latter is basically a sports foldable drone designed specifically to mimic an action camera. It was also built in a way that users could just easily take it with them everywhere. A few weeks later, DJI introduced its own blazing product called the Mavic foldable drone. What DJI did was shrunk the DJI Phantom 4 into a much smaller size and make it, well, foldable. Fast forward to today, the winner between the two is still subject. Most will tell you, however, that the GoPro Karma was a huge let-down. But hey, the world of the folding drone does not end there. And clearly, the two mentioned above are not the only ones worth checking out. There are a couple of best foldable drones worthy of getting the same attention as the two. But first, let’s try to understand what a foldable selfie drone is. First, it is interesting to see and discuss just what exactly makes the aforementioned drones special from the rest. The most obvious and major selling point of these drones is that they are lightweight and small. As such, they can be placed inside a bag or backpack. Heck, there is even the possibility of keeping them inside your pocket. Yes, that is true. This is very achievable due to the fact that a folding drone’s arms hold the device’s rotors foldable inside its body. Moreover, a folding drone is a beauty to see when it comes to how they are being flown and the way you can control them. A foldable drone, in particular, gives you the much-needed control even when using an app that you can install on your tablet or smartphone. This capability alone is enough to make the drone much easier and exciting to fly. Its control-friendly quality makes it a swift for newbies to enjoy it. If you are into getting a selfie, there is no need to worry about its thrust and yaw control. Last but not least is the fact that the best foldable drones are mostly autonomous. They could even fly using various predetermined patterns, which are robust enough to let them do so on their own. In other words, there is no stopping you from setting the drone in a way that it will follow you from behind. You can also set it up so it will start focusing on your face, which is something it can do either from the front or just doing it by a flyby. What is more is that all of these capabilities are possible even if you have to move from point A to point B. The fact that a folding drone has the ability to follow you and join your adventure, there is absolutely nothing to hate about it. Well, looks like you now have an idea or two about a folding drone. If that is the case, then it is time to go down into details and see which ones are the best. Of course, it is a crime not to start with the big boy of the group. This one is without a doubt the most interesting folding drone to date. DJI has been successful so far in pushing its drones towards the mainstream, and it does so by making their product friendlier. But what really makes it so special? It is normal to go small these dates, despite having to make the decision of sacrificing a lot of interesting features. However, the DJI Mavic has made the game a lot more interesting by changing the prerequisites. Sure, the drone is relatively small and quite portable. Interestingly, its size did not prevent the possibility of having an excellent delivery of images, extended battery life, and even autonomous intelligence. Believe it or not, DJI has really set the bar high. The way it built the drone and making it a successful one is quite interesting. This one right here is a small quadcopter. Apparently, it is the first foldable drone to successfully achieve the triumph of being sold. At first glance, you would feel like the drone allows you to be in a futuristic move or something. Interestingly, it comes with shape that is somewhat small and similar to a tiny pill. And since it only weighs around half a pound, carrying it would not be much of a pressure. Despite its size and quality, it still far from becoming the smallest drone ever. When it comes of specs, the Dobby Selfie drone has also made some interesting features. And it is very acceptable to consider its price. For starters, it is equipped with shooting stills that is of an HD camera, all of which are processed at 4K resolution. Apart from that, it also gives you the ability to take 1080p HD videos, thanks to its robust 13 MP camera. Mind you, this is no ordinary camera, especially since it can produce a lot of quality photos and images. Its quality, however, does not necessarily match the DJI Mavic drone. Still, this foldable drone can excel the competition with its front-facing camera. It is also worth mention that it is highly powered by a 2.3 GHz quad core Snapdragon 801 chipset and it comes with 2 GB of RAM. This is another folding drone that has recently made headlines, and it is called the Hover Camera Passport Selfie Drone. Unlike the aforementioned ones, this drone comes with a very unique design. Apart from its arms having the ability to be folded inside (similar to the way the Dobby or the DJI Mavic), the whole body can also be folded in just half. And yes, this quality is pretty much similar to a book or passport. Another great design feature of this foldable drone is its rotors. It turns out that the rotors are fully enclosed specifically just within the quadcopter body. Thanks to this quality, you can rest assured knowing that it is extremely safe to handle. To put it simply, you do not need to worry about grabbing it mid-air and anticipating the possibility of getting hurt. And oh, make no mistake about its durability. That is because it can take a whole lot of beating and even crashes. It can be agreed that The Dobby Selfie Drone is one of the best foldable drones. Not only is it extremely portable, but it can also help you take a bunch of great selfies. But there is one thing that people could possibly have second thoughts about buying it: its price. Yes, that is right – it is reportedly sitting at almost $400. Considering the amount, it is clear that it is beyond being cheap or reasonable, especially if your goal is to just take a couple of selfies. This is exactly where this drone can help you a lot. Its starting price is just around $50. Given the figure involved, you can always expect this folding drone to lack the benefits of having a couple of advanced features. This is most especially if the goal is to better the features found on more expensive ones. It is worth noting, though, that this drone does not come with a gimbal or an adjustable camera. Lastly, it uses its own brushed motors. All of these are made just to cut costs. But is it a bad drone already? Absolutely not! Regardless of the not-so-good points above, it still has a lot of great things to offer. For one, controlling it is very easy. All you need to do is use a smartphone or tablet. Also, it comes with a headless mode, which has proven to be a popular feature on the market. Above all, it can immediately hover mid-air in order to take a great selfie shot. This is the standard that this drone has awesomely nailed! 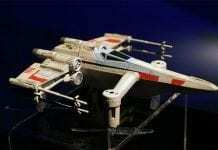 Propel Drones – Star Wars Drones And More!